My fascination with H&M and sustainability continues . . .
Are they are a fast fashion mega-retailer merely seeking the largest financial bottom line? Are they true sustainability champions? Can high-volume fashion stores ever be 'sustainable', no matter what fabrics are used? One thing is for certain, H&M support sustainability innovations that have the potential to transform the fashion industry in a way I don't see from any other international fashion brand, and that's enough to keep my interest piqued. Circular materials looking for ideas on new fibres, recycling techniques, leather substitutes, etc. Applications are open to anyone, and they encourage early innovations and ideas. 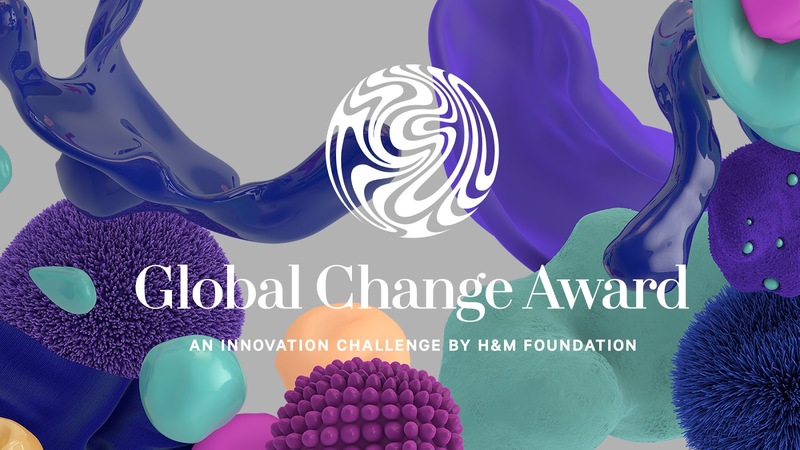 Five winning applicants will be selected by a panel of expert judges, and they will share a 1 million euro grant and participate in an 'innovation accelerator' program with the H&M Foundation in partnership with Accenture and KTH Royal Institute of Technology in Stockholm. If you have a brilliant innovation bubbling away in your mind, get your application in before the end of October. I'd love to see a SWS reader's name up in lights, and to see your ideas brought to life in a way that can transition this industry in need of change. Find all the details on their website - and good luck! It's a difficult balance; is being 'a little bit less bad' really enough, or are some companies actually starting to do some good? Are they truly honest and transparent about the impacts associated with their products (and the lifetime of their products) or is it all just marvellous greenwash? Thanks for the post - interesting to read how H&M are encouraging innovation.